Can a man experience a coming of age after he becomes an adult? 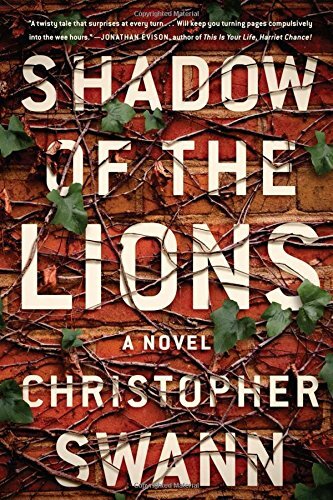 Before the lion statues marking the entrance to Blackburne Prep, roommates Fritz Davenport and Matthias Glass have an argument so heart-shattering Fritz walks away and is never seen again. Police investigation fails. The FBI is called in but mysteriously withdraws a week later. Fritz is never found. Emotionally devastated by the lost of his best friend, Matthias graduates and moves to New York. He writes a bestseller, then suffers writer’s block . . . Now it’s 14 years later. Matthias is back at Blackburne. In surroundings where his formative years were spent, he’s inundated with memories of the day Fritz disappeared. The more Matthias thinks of Fritz, the more he believes his friend is still alive. A chance meeting with Fritz’s twin sister, Abby, whom Matthias still loves, brings back other, bittersweet memories. When he learns Fritz’s family had him declared legally dead, Matthias becomes determined to prove otherwise. Matthias starts digging, talking to teachers and former classmates still in the area, the deputies who handled the case. One offers unsettling information in the form of a question: Who had enough power to make the FBI drop the case? When a student dies violently, Matthias is momentarily diverted by discovering marijuana in the boy’s room. His failure to inform the headmaster immediately because of concern over the grieving parents’ feelings is a grave mistake. While trying to discover who’s selling pot to his students, Matthias is arrested as the dealer. Eventually he’s proven innocent of the charge, but that brings more questions with no answers. Though he wishes it otherwise, everything points to Fritz’s family and an important government contract Fritz’s father was negotiating at the time of his son’s disappearance. What could two employees accused of selling secrets to the Chinese have to do with Fritz? What was so important to Fritz’s father that it was necessary for his son to vanish? How will it affect his relationship with Abby? Before Matthias’ search is over, he’ll have his answers and be cleansed of guilt, but what he discovers will shake his belief in honor and loyalty. This intriguing novel is truly one worthy to be declared a “page-turner,” especially when the halfway-point of the story is reached. From then on, the reader won’t wish to put it down until that last word has been read. Lingering nostalgically on flashbacks of how their friendship began, to the moment of that devastating break-up, Shadow of the Lions is a chronicle of gaining, then losing boyhood ideals, as well as a paean to the friendships cemented during those adolescent years. Though Matthias’ search is partially fueled by the belief he caused Fritz’s disappearance, in his attempts to assuage that guilt, he uncovers a crime more heinous than besmirched honor. Readily admitting his own failures, his persistence and discovery bring about what has been missing from his life. Frozen emotionally since the moment his roommate disappeared, through his loyalty to Fritz, he’s freed from this stasis, finally experiencing that coming-of-age moment thrusting belatedly him into the role of responsible adult. Congratulations, Christopher Swann, for a novel well written and sentiments well expressed!